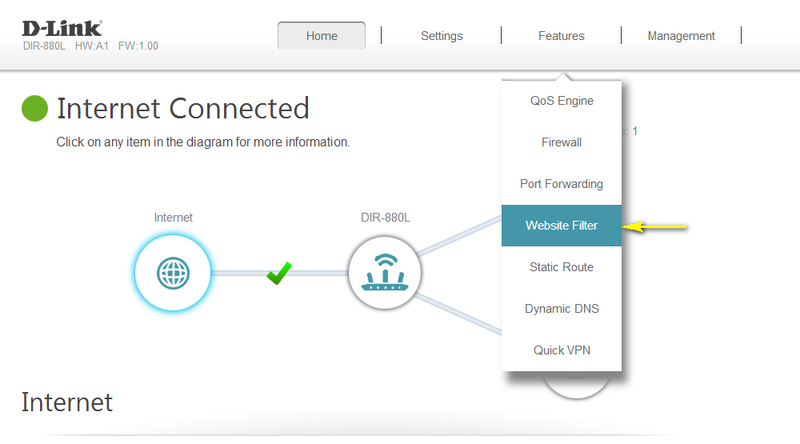 How do I set up Website Filtering on my router? 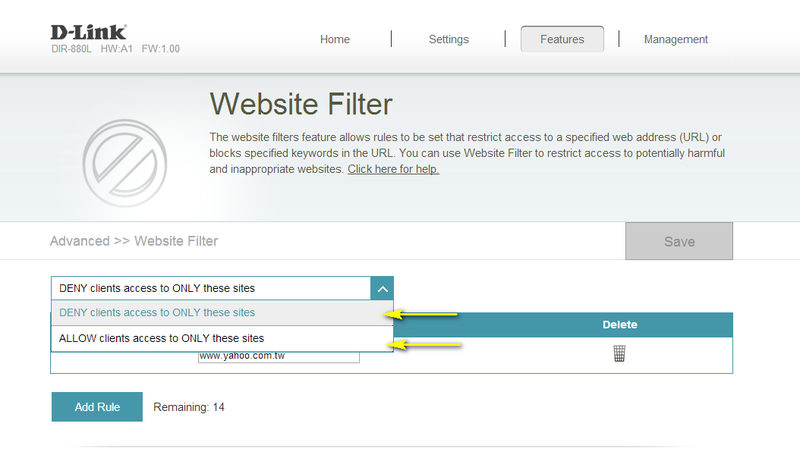 Step 3: Move the cursor to the Features tab and then click Website Filter from the drop-down menu. Step 4: If you want to create a list of sites to block, select DENY computers access to ONLY these sites from the drop-down menu. All other sites will be accessible. If you want to specify a list of sites to allow, select ALLOW computers access to ONLY these sites from the drop-down menu. All other sites will be blocked. Step 5: You may specify a maximum of fifteen web sites. To add a new site to the list, click Add Rule. 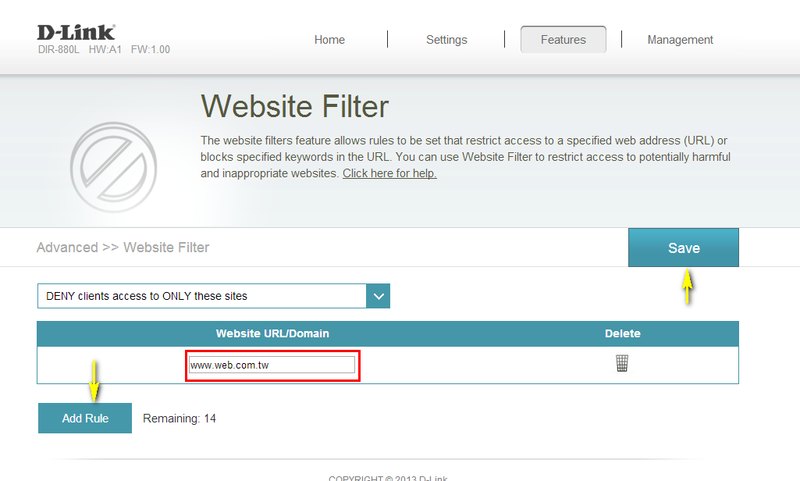 Next, in the Website URL/Domain column enter the URL or domain you wish to deny or allow access to. If you wish to delete a rule, click on its trash can icon in the Delete column. If you wish to edit a rule, simply replace the URL or domain. Click Save when you have created the desired rules to save your configuration.